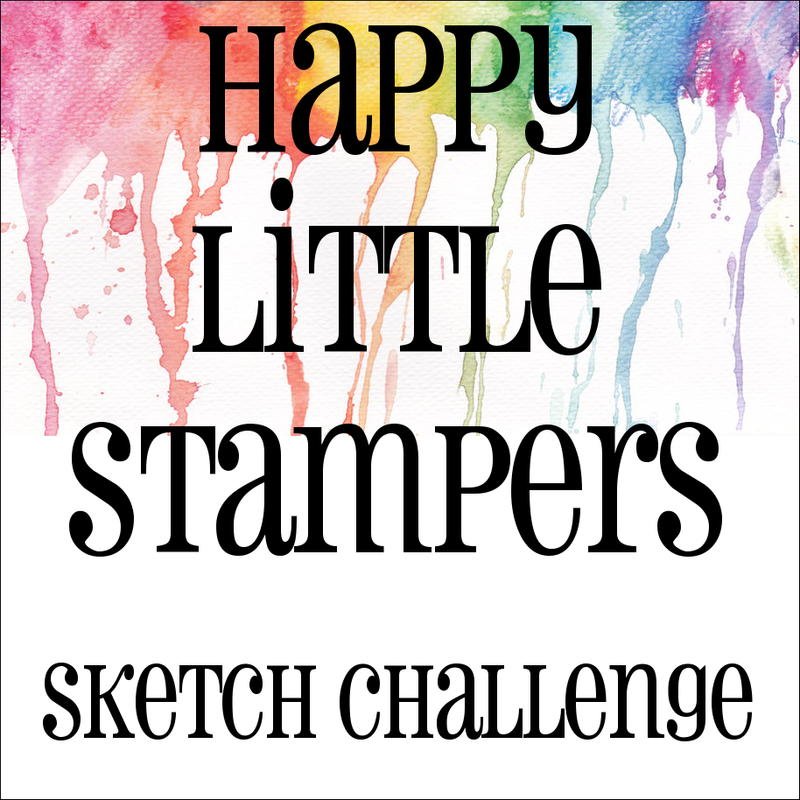 We've got a new sketch for the month of August at Happy Little Stampers, and it is a very fun one. 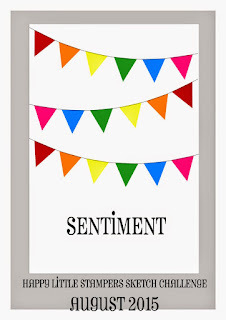 I am aiming to increase my stash of masculine birthday cards, so I used a variety of ink colors that seemed manly to me to string my festive streamers across my card. No sequins on this puppy, but I did add some stamped embellishments. 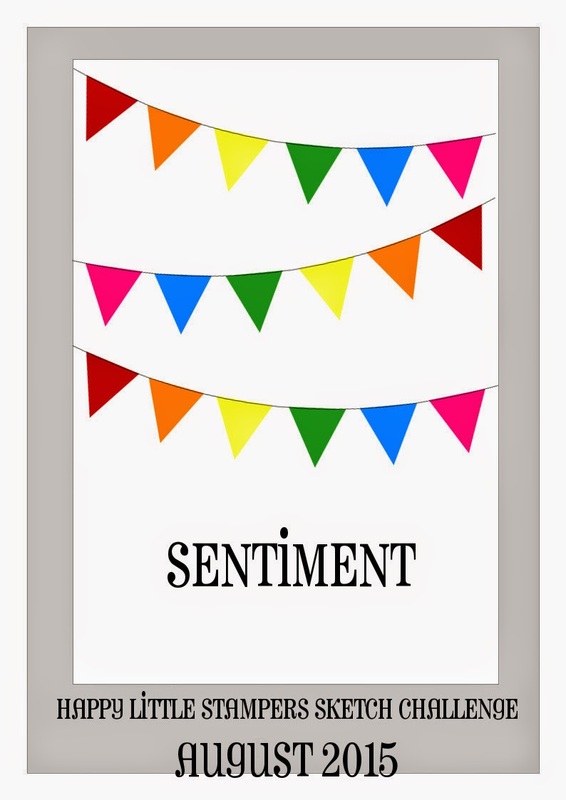 This is practically a one layer card--the only dimension is the 'celebrate' die cut at the bottom. 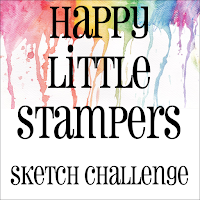 I hope you will join us at Happy Little Stampers sketch challenge this month. It is the end of July already and time for our 12 Kits of Occasion group post. I always look forward to this day, as it is such fun to see what everyone has made with their supplies. 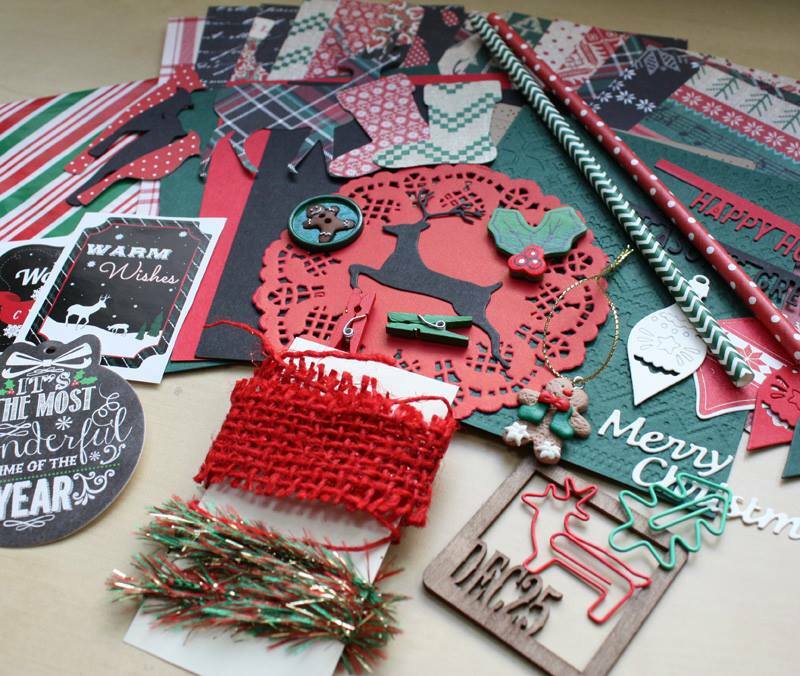 This month our hostess is Cathy of Empty Nest Crafter and she sent the most wonderful Christmas in July kit all full of amazing crafty goodies. I had so much fun playing with all the wonderful supplies Cathy sent. My cards came together so quickly--before I knew it, I had 6 cards done, and had run out of time. Of course I still have lots of leftovers. Want to see what I made? I had to use my very favorite item from the kit first. Isn't that plaid deer amazing? That's it for me, but I've got plenty of supplies left for our second helpings month next year. 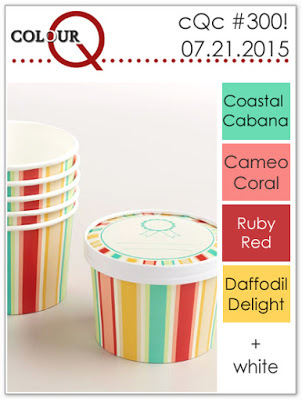 Please head over to our 12 Kits of Occasions blog to see a list of team members along with links to their blogs. 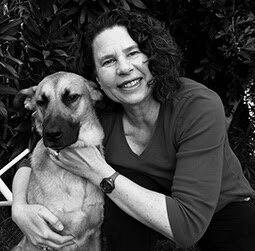 You can also see who our lucky Guest Designer is this month (actually, we are the lucky ones to have her with us this month). On a sad note, this is the last month that Kelly of Gingham Girl will be with us. We will miss Kelly, and wish her the best as she pursues other crafting adventures. Hello and happy Tuesday. 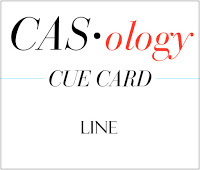 It's time for a new cue word at CASology. This week, our cue word is WINGS. It was hard to choose what sorts of wings to feature, but I decided to use Clearly Besotted Flight of Fancy. I have seen this partial coloring technique quite a bit lately and wanted to give it a try. I stamped my butterflies on a card front, after lightly outlining the size of the rectangle I knew I would cut after stamping. I wanted to make sure that each butterfly would have a section on the raised rectangle as well as a section outside that rectangle. After stamping my butterflies, I used a Memory Box Cross Stitched rectangle to cut out the center section. I used my Ziggies without water to color in the butterfly wings on the rectangle. Then, I replaced that rectangle, popping it up with a piece of fun foam. Everything colored got a big coating of WOS. 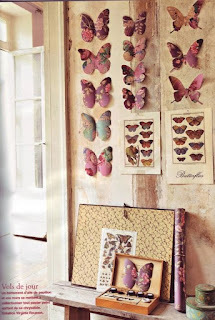 I am also entering this card over at Just Add Ink #272 where their challenge is Butterflies. Now, it's your turn. How are you inspired by WINGS? I hope you play along this week. Please remember to keep it Clean and Simple. I have three cards to share today. 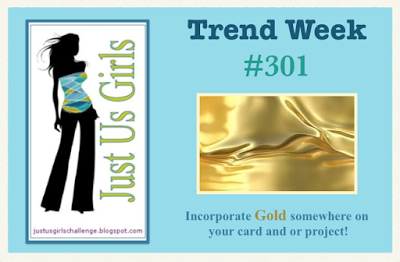 First up is a card inspired by the colors at ColourQ #300, where they are celebrating their 300th challenge. I pulled out an old favorite, Dot Spot and paired it with a brand new to me die--birthday by Mama Elephant. After stamping, I die cut the word 'birthday' out of my stamped panel as well as a few more out of Hawaiian Shores card stock. I inlaid the stack of birthday die cuts and then added the second part of my sentiment, wishes stamped on a scrap and popped up with foam tape. 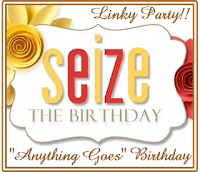 I am also entering this card at Simon Says Monday Challenge: I scream for Inlaid diecuts and Seize the Birthday Anything Goes. My next card uses the technique taught at this week's Make it Monday #218: Watercolors with die cut stencils. I die cut the word 'wish' out of water color paper, used temporary adhesive to attach it to my card front, stamped the rest of my sentiment, and then water colored a rainbow over that area. Texture from the Sunshine Impression plate and sparkle and shine with some clear sequins and bling finish off the card. I am also entering this card at Addicted to Stamps and More #154 CAS and Simon Says Wednesday Challenge: Sparkle & Shine. 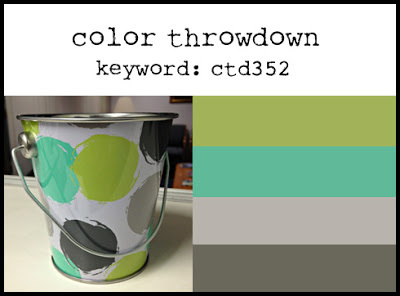 My last card is inspired by the sketch at CAS(E) this Sketch #133 and the colors at Color Throwdown #352. I used Enclosed Super Star stamps and dies, and my MISTI really helped me get everything perfectly lined up. I used a cover plate I completely forgot about to add some textured stars to my card front. Happy Saturday. I am sneaking away from my house guests to quickly post a card I made earlier this week for the Papertrey Blog Hop. I was inspired by the butterflies, the gold, and the pinkish/.purplish color. 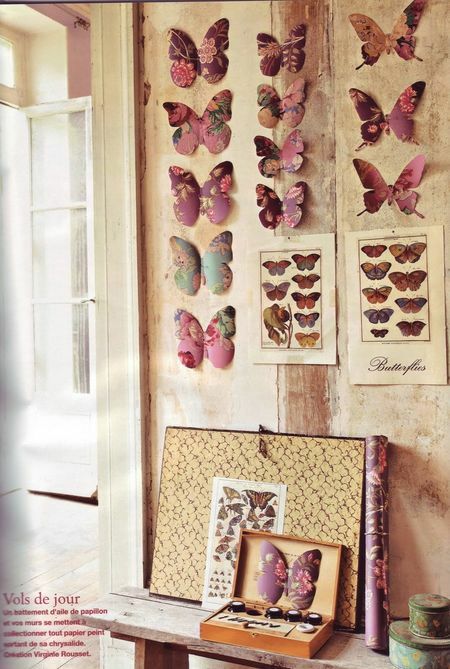 I finally bought a Misti and was so very happy to be able to stamp these butterflies multiple times to get a really nice image. Happy hopping. I'll be around later when my house guests are gone. Hello and happy Tuesday. It's time for a new cue word at CASology. This week, our cue word is LINE. So many different ways to go with this one--I wish I had more time. I decided to pull out my fine line markers and draw some lines on my card. Yes, that is with a pen and not with a stamp. They are wonky on purpose, and I drew a frame around my focal point, which is a die cut flower from Ellen Hutson, cut out of Raspberry Fizz paper and embellished with a tiny rhinestone in the center. While I've got you here, I will share another card that I made when my crafty friends, Kim, Cathy and Marybeth came over for a visit. We did more talking and laughing than crafting, but we did all practice water coloring with my Ziggies using the same stamp. Here is my version. I am so very lucky to have made such wonderful crafty friends, and even luckier that I get to hang out with some of them in real life. Even Sherlock the dog hung out with us most of the day. Now, back to CASology and our cue word LINE. 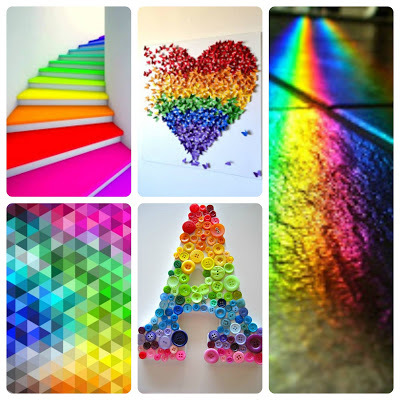 How are you inspired by LINE? I hope you play along this week. Please remember to keep it Clean and Simple. Hello and happy Friday. 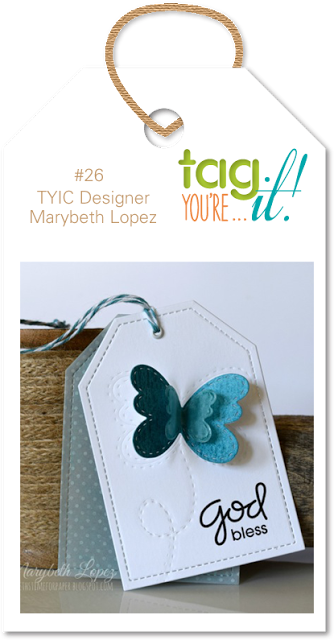 I am very excited to be making my first post as a member of the Design Team for Tag You're It. I am very lucky because our inspiration this week is provided by Marybeth, and her tag could not be cuter or more inspirational, right? I was inspired by the 2 layers of Marybeth's tag, the die cut, the ombre colors and the stitching on the tag as well as the die cut. I used my Ziggies to paint an ombre in green on watercolor paper and then cut a tree out of it with a stitched die by WPlus9. I hope you are inspired to play along with Tag You're It this week. 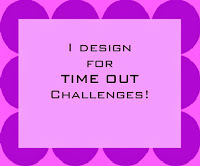 Please head over to the Tag You're It Challenge blog to see more inspiration and to link up your tag. 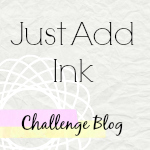 I have a quick post for today with 3 cards for various challenges. 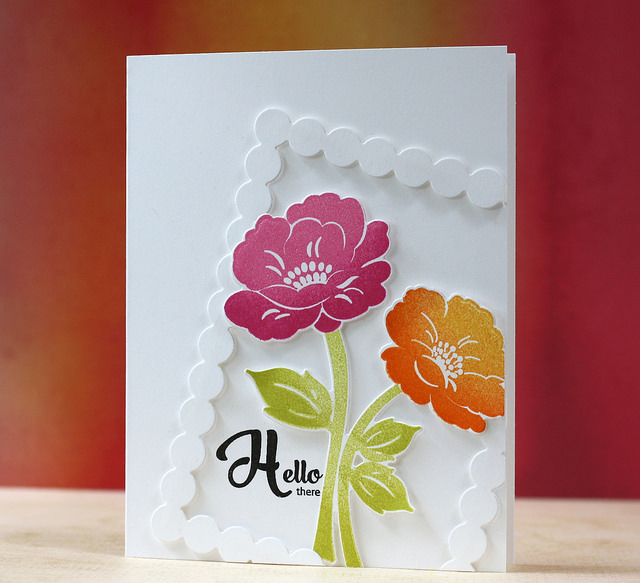 My first card is inspired by this gorgeous card by Laura Bassen, and I am entering it into a new PTI challenge Create Along with Us, which is a way to create something inspired by the release count down projects. I used the same design as Laura, substituting Meadow Green stamps for her Vintage Linen flowers. I used a frame made from Shakers and Sprinkles dies and a sentiment from Asian Fusion. I am also entering this card at Time Out #35: Nature with the option of animals. I am entering this next card at Just Us Girls #301 where the challenge is Gold. I stamped the dotty image from Good Times twice in Delicata Gold, and then covered the part where they overlap with a die cut sentiment word, celebrate. Then, I stamped It's Your Birthday in Memento Luxe ink, so it would sit right on top of the gold stamping. 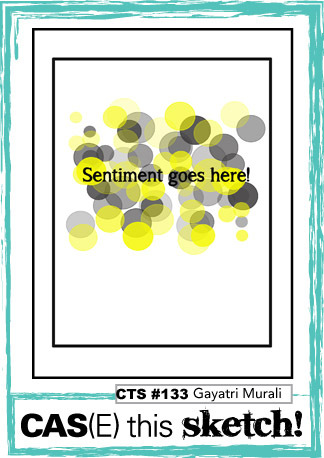 My last card for today is inspired by this photo at A Blog Named Hero. 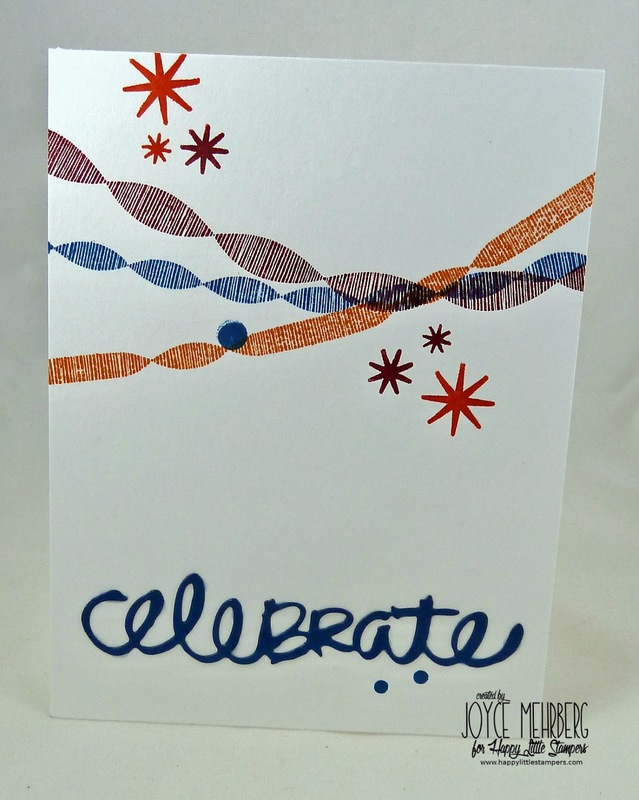 I stamped and clear embossed Hero Arts Zig Zag Background and then sponged each section with a different color of the rainbow using Distress Inks. My sentiment is from Hero Arts Chalkboard Birthday, and I stamped it in black on a scrap piece, cut it out, and popped it up with foam tape. 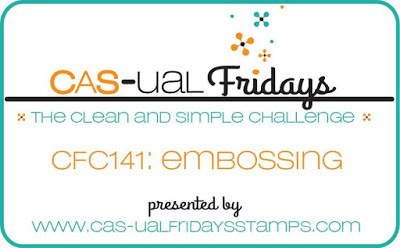 I am also entering this card at CAS-ual Fridays #141: Embossing. I am also entering these cards at Simon Says Monday Anything Goes challenge.